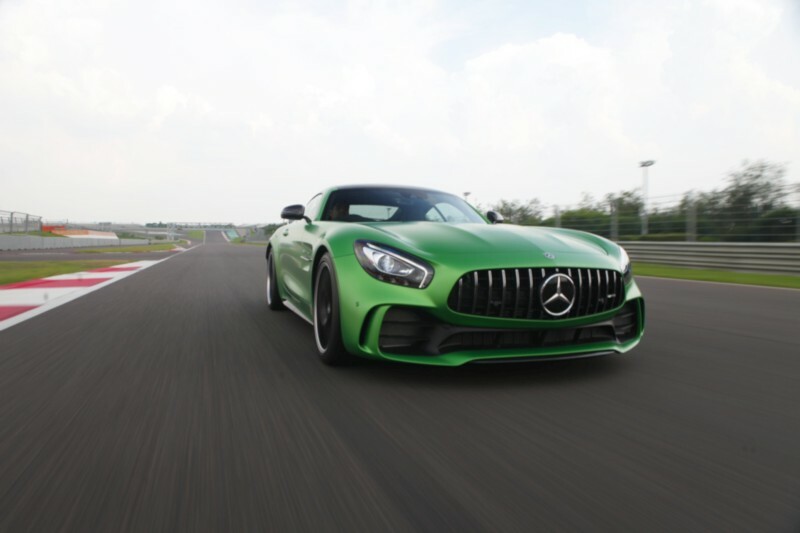 Mercedes-Benz India have brought in the purest form of raw power in the all-new AMG GT R – lovingly referred to as ‘Das Biest der Grüne Hölle’: the Beast of the Green Hell. We show it some laps around India’s F1 circuit. Barking dogs seldom bite, they say. Exceptions, however, present themselves every now and then. 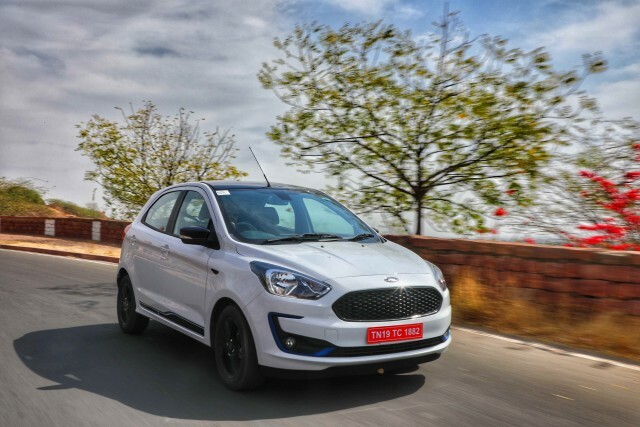 One such beast just happens to be something rather suited to a race track, while also being offered as something that lets you live the race experience on tarmac. Not that we recommend racing on public roads, or a public display of traction, but some things can’t always be helped. Especially when there’s a drive mode selector position that says ‘RACE’ – not an initial like ‘C’ or ‘S’ but a full-blown four-letter mode not often seen on a Mercedes Dynamic Select drive-mode selector, even on AMG models. This one’s special. How special? 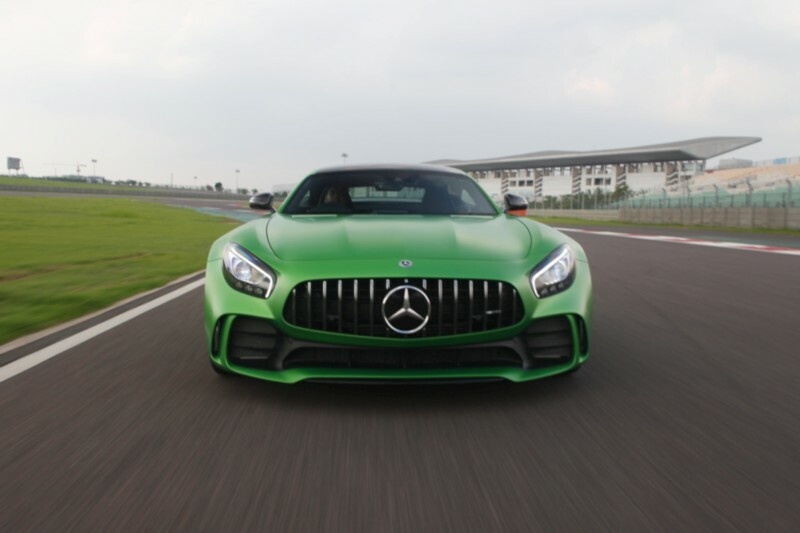 Well, the Buddh International Circuit was the best place for Mercedes-AMG to have the car with the hope to showcase at least some of its abilities. 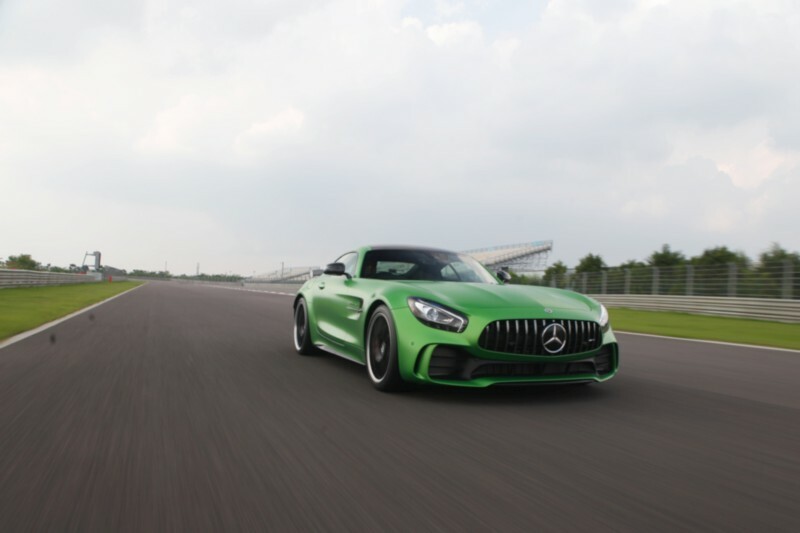 Now, remember, this one set the lap record for a rear-wheel drive car at the legendary Nürburgring Nordschleife with a blistering 7’10.920 – some 35 seconds quicker than the Mercedes-AMG GT managed not too long ago. Another thing it did even less long ago was break the lap record right here, at the BIC, with Christian Hohenadel at the wheel setting a 2’09.853, three seconds quicker than the previous best and over five seconds quicker than its high-performance sport coupé predecessor, the SLS AMG. Those are just two of its notable numbers. There are a lot more numbers the AMG GT R musters and none of them are anything what you could call conservative. How does 585 PS sound? Then there’s the 700 Nm that come with it. Then consider it’s the lightest GT model on offer, weighing in at 1,555 kg. That gives us another prodigious number: 376 PS/tonne. All of those mean it can rocket off from standstill to 100 km/h in 3.6 seconds and on to a 318-km/h top speed. There’s more to it than numbers. As always. It’s what sets apart the good from the great. It’s not a GT S with a more powerful engine. Well, it sort of is, but they haven’t just turned the blowers up one speed. The GT R is a heavily recreated engineering effort. 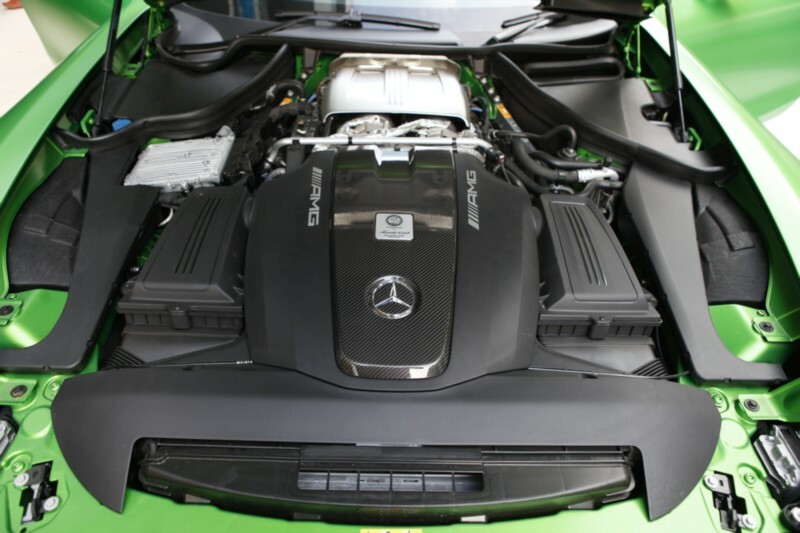 The engine is still an M178 4.0-litre BiTurbo V8, with its turbos nestled inside its V, built by hand in Affalterbach. It still uses an AMG SpeedShift seven-speed unit. And it still looks a lot like its siblings. Until you get closer and see all isn’t that simple a job that was at hand. 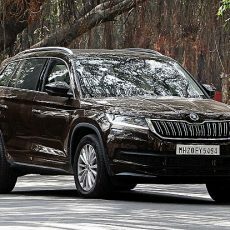 The engine uses revised turbos with higher boost, with a lower 9.5:1 compression ratio helping to deal with the added pressure, and more revisions to the exhaust hardware to improve flow. The gearbox has a taller first, shorter seventh, and the final drive goes shorter, too: from 3.67:1 to 3.88:1. 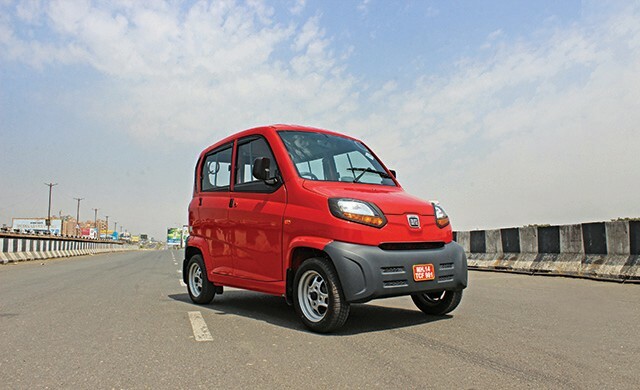 It has an electronic rear limited-slip diff, and rear-wheel steering. And, more importantly, active aerodynamics – ignore the big, fixed carbon-fibre rear wing – it’s the magic at the front I speak of. An active front splitter drops down and redirects airflow, making the GT R a leech for tarmac, sucking up every ounce of grip like a greedy kid slurping in that long bit of noodle. Then you have the wider 325-section rear tyres. AMG’s carbon-ceramic brakes are also offered as standard. What that results in is a hair-raising amalgam of blistering acceleration, incisive cornering, and face-ripping stopping power. Look at it. It screams wild aggression. The Panamericana front grille looks evil. It’s low, mean crouch of a stance makes it seem ready to pounce. Get inside, and you know it means business.